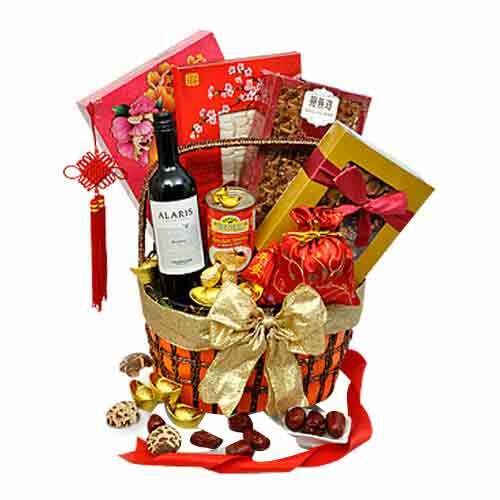 Description: Outstanding in quality and style, this Special Grand Feast Assortments Basket will sweep the recipient off their feet. 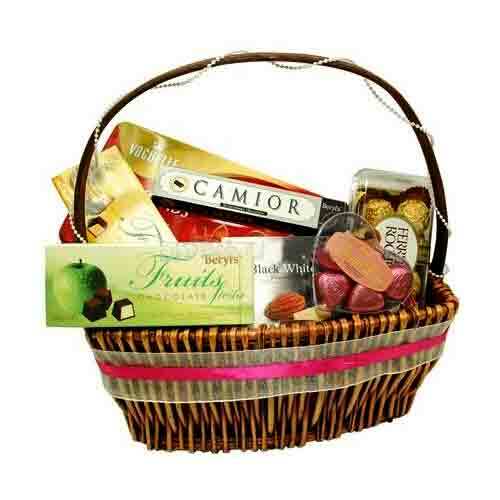 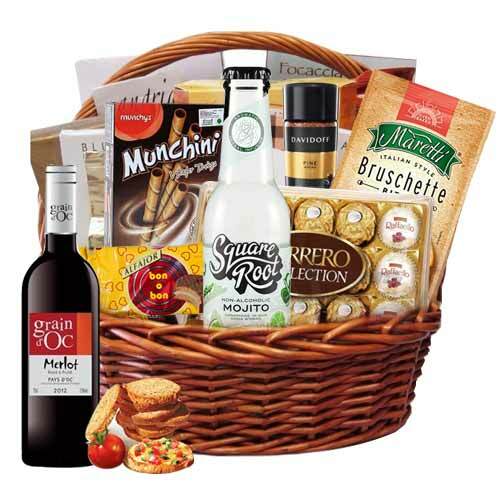 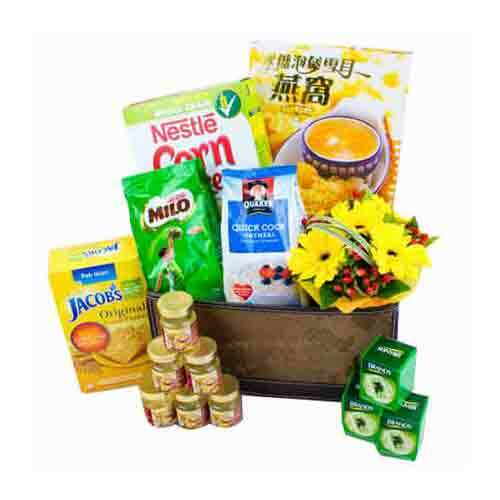 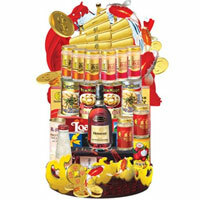 Send Festive wishes in the form of this tasty Hamper that is decked with 750ml Grain D oc Merlot 2013 (Product of France), 275ml Booz Ice Cream Soda Cocktail, 162gm Ferrero Collection Chocolate (T15),250gm San Remo Large Instant Sheets Lasagna, 90gm Bon O Bon Chocolate, 14.4gm Davidoff Caf� 100% Pure Coffee, 70gm Maretti Italian Style Bruschette Bites (Slow Roasted Garlic), 100gm Redondo Chocolate Wafer Stick. 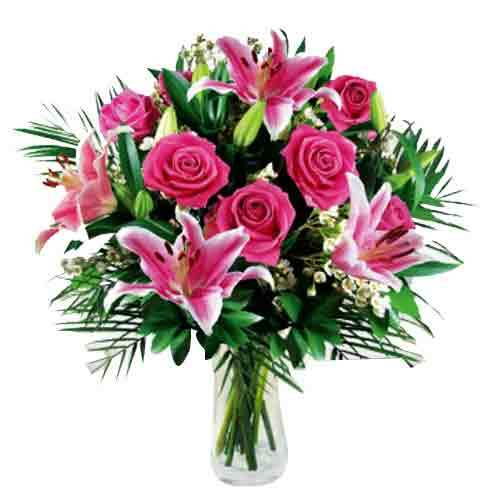 Special gift for special people, this Sun-Kissed Fall Favorite Bouquet renders your loved ones with all the happiness they deserve. 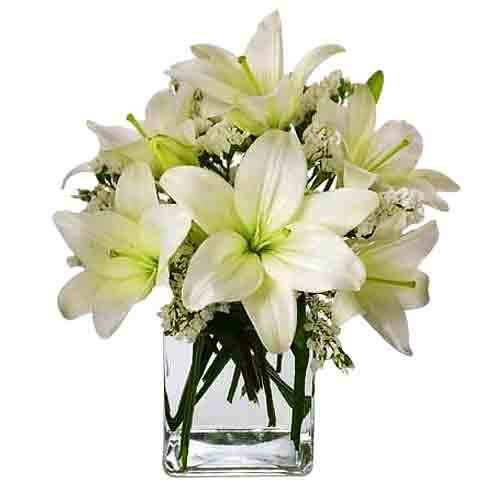 This amazing Mixed collection of Flowers includes Four Stems Casablanca Lilies and Baby Breath decorated in a Vase.